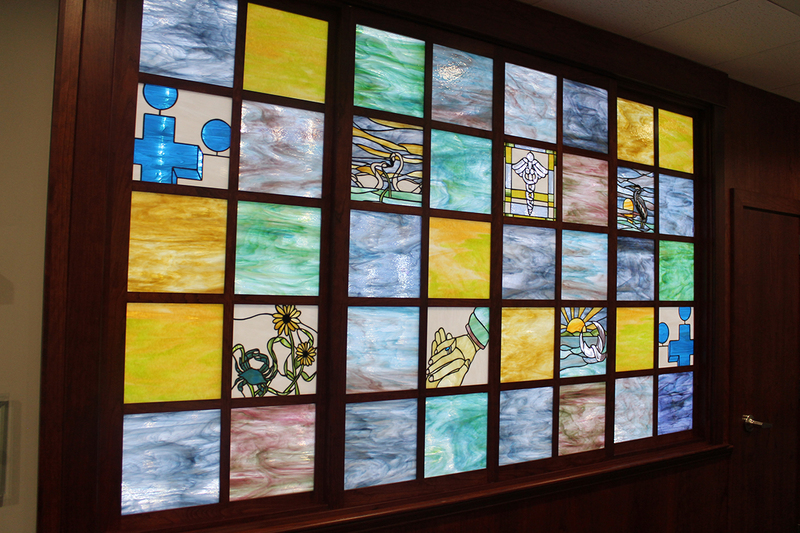 With the Pastoral Care Volunteers serving thousands of patients, family members and employees every year, we quickly realized the need for a chapel that could accommodate all faiths for spiritual reflection. In 2017, the pastoral volunteers raised funds from community residents, businesses, church leaders and DCH employees to establish a designated chapel within the main hospital building. Our Multi-Faith Worship Center is located near the main lobby of the hospital and is available 24 hours a day to serve anyone who enters our facility. We would like to thank the following Founding Donors for their contributions. Systems Application & Technologies Inc.
We are still accepting donations for the upkeep and stocking of inspirational materials to serve those in need of support. Please call our Pastoral Care Office at 301-552-8051 where members of our pastoral staff are available to speak with you personally and to provide support.